Eaglecrest Road is the only car access into Juneau’s sub-alpine, so I’ve made a fair number of trips up in search of opportunities that would otherwise require a considerable amount of hiking. Results have never been to my liking until last night. Forest fire smoke on the horizon and clearing skies overhead combined to create a unique soft light with incredibly bold colors. 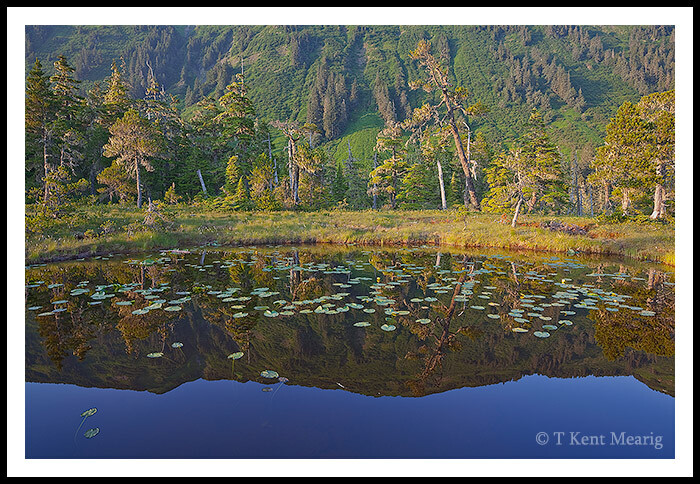 Here’s one interpretation that made good use of a muskeg pond full of lily pads.